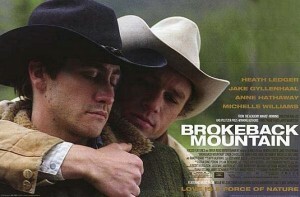 Unlike Ang Lee’s Oscar winning 2005 film Brokeback Mountain, American director Jon Garcia’s film The Falls is not big budget, overlong or does not feature any major Hollywood stars. Instead The Falls is a nuanced and superb analysis of how two young men discover affection and sexual attraction for each other in the confines of a repressive religious context in this case the Mormon religion in the North Western United States. Set mainly in a small town, The Falls follows two young men as they have to share a room together during their spiritual guidance training in Oregon, who are both cut off from family and any normal youth influences. Their rather sombre mission is to convert as many of the random townsfolk to Mormonism and guide new believers into their religion. This proves rather difficult, when the two gorgeous but naïve young men R. J. played by Nick Ferrucci and Chris played by Benjamin Farmer harbour sexual feelings for each other, spurred on by a rather funny and quirky visit to an Iraqi war veteran who offers them some pot. Soon their inhibitions and moral instructions fly in the face of conventional Mormonism which is restrictive to say the least. On a more serious note it’s when the rigid Elder Harris discovers Chris and R.J. in a compromising position, he reports the two men to the Mormon Church elder and soon their parents, the Church and the community are forced to confront the couple’s homosexuality and the young men have to make a choice whether to continue their relationship or abandoning their own sexual feelings for the strict Mormon religious conventions which govern their lives. What director Jon Garcia does so brilliantly is that he never makes fun of the Mormon religion or belittles their belief system, but rather subtly shows how homosexuality obviously does not have a place in such a family orientated and conservative religion which cherishes procreation, the sanctity of marriage and a strong conversion ethic. Naturally setting The Falls in Idaho and Oregon so close to Utah and the epicentre of ultra conservative Mormon beliefs Salt Lake City, director Garcia makes a valid if not slightly amusing point that the stricter a religion is, the less likely that any deviation is tolerated. And boy, do these boys deviate! 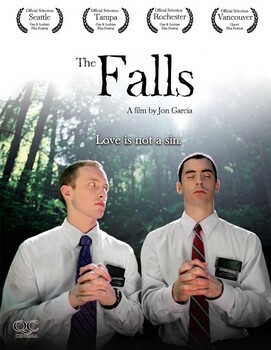 The title of the film, The Falls refers to a place in Idaho where young R.J. witnesses a lot of homosexual activity, basically a discreet cruising spot in the city centre. The Falls is well acted, wonderfully directed and cleverly conceptualized which will definitely find a broader appeal than being its immediate LGBTI target audience. Definitely recommended viewing and not to be compared with the much hyped but equally superb mainstream film about repressive love, Brokeback Mountain.